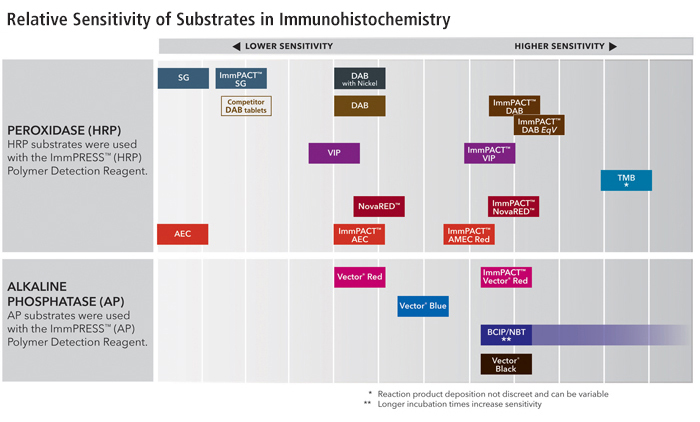 Vector® NovaRED and ImmPACT NovaRED HRP substrates produce red reaction products. Unlike AEC, sections stained with either substrate should be dehydrated, cleared, and permanently mounted. Both chromogens are useful as alternatives to DAB or as a second color for multiple antigen labeling. Vector NovaRED and ImmPACT NovaRED substrates also provide excellent color contrast in pigmented tissue such as melanoma. 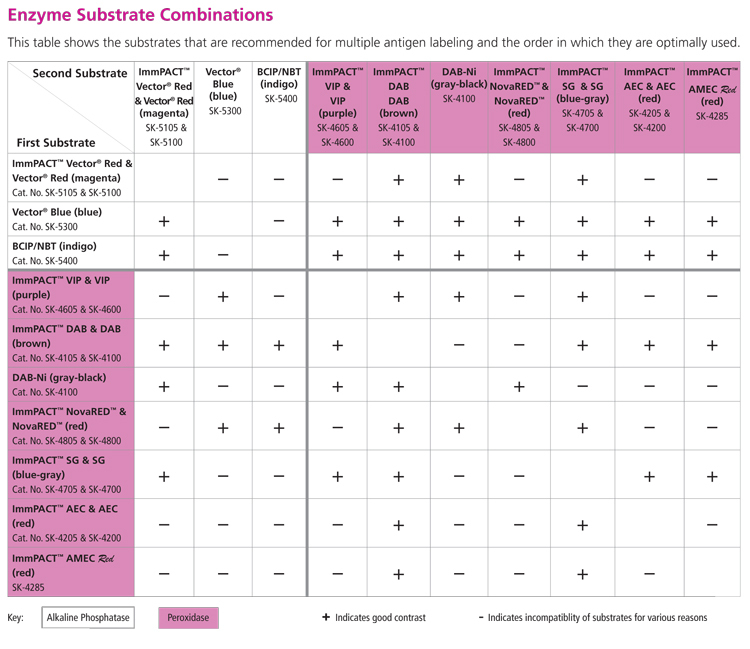 With the aid of imaging systems and software, the spectral profile of both substrates can be distinguished from other enzyme substrates in applications where antigens are co-localized. Sections stained with either substrate also can be viewed by darkfield microscopy. Vector NovaRED and ImmPACT NovaRED substrates can be used for both manual and automated staining methods. 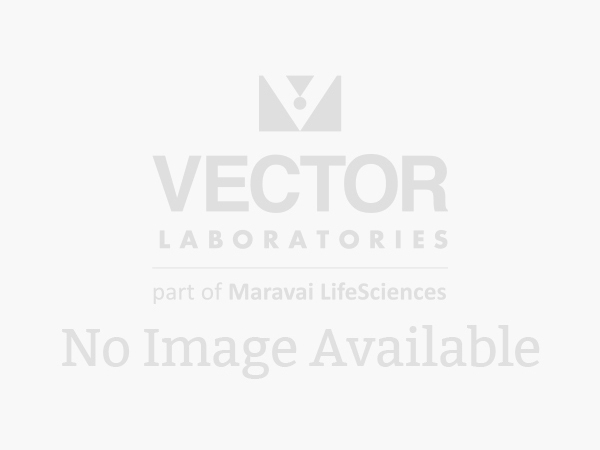 This product utilizes Vector Laboratories novel ImmPACT technology to generate an intense red reaction product that is 2-4 times more sensitive than Vector NovaRED substrate kit (SK-4800). This product consists of 120 ml of diluent and concentrated stock solutions of ImmPACT NovaRED reagents in convenient dropper bottles. This substrate formulation can be used on nylon or PVDF membranes but is not recommended for use on nitrocellulose membranes. Working solutions are stable for up to 14 days at 4 °C.